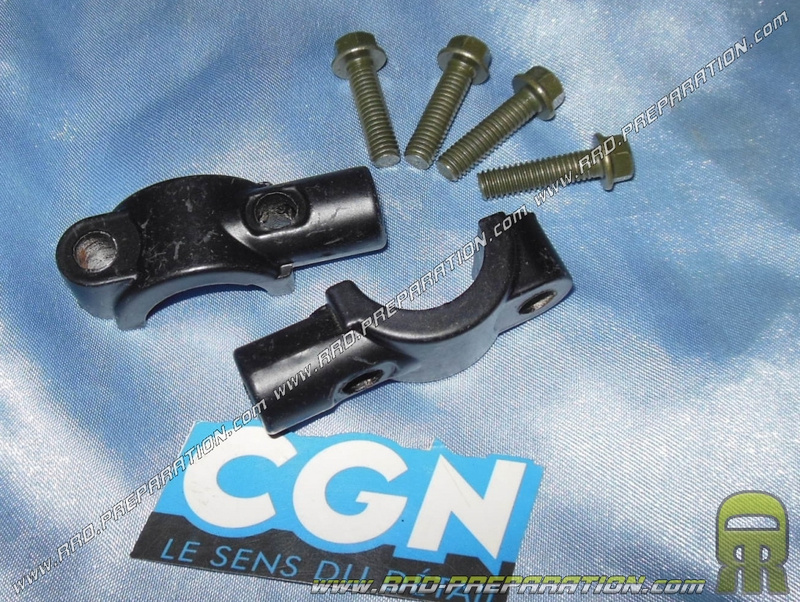 Ideal for those who suppress their stalk and install simple handles such as fast print, here are the 2 fixing clamps black steel for maintaining your mirrors. Good quality, it is a very good feature that allows you to preserve or mirror (s) to comply with traffic regulations. Ø8mm diameter thread with a tightening right (standard). Attaches to the brake master cylinder. Comes as shown with 4 screws strengthened. Hole spacing 33mm fixing.